If you think you may have an Instagram addiction, you’ve come to the right place for help. We love the Gram for a million different reasons but know it’s possible to have too much of a good thing. 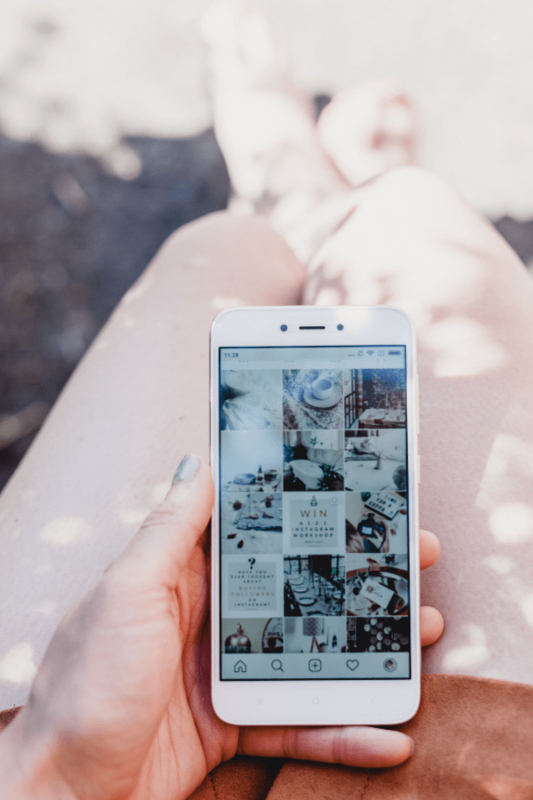 Whether you’re a full-blown Instagram addict or not, our tips can help you manage your time better and have a higher quality experience on the app. So, forget about scrolling for the time being (yes, we know it’s hard), and find out what to do about your Instagram addiction. Did you know studies show social media is as addictive as gambling? Instagram addiction is not something to be taken lightly. As the popularity of the photo-sharing app increases, the issue is becoming more widespread. Some researchers are now linking an Instagram addiction to mental health risks and depression. If you’re showing any of the following signs, you may be addicted to Instagram. Instagram Addiction Sign #1: Posting stresses you out (and not posting stresses you out even more). The pressure to post the perfect picture is so real. Some people might think it’s just about taking a good photo, but we know there’s so much more to Instagram. Once you have the right pic, you still need to spend time editing, selecting the right filter and writing a thoughtful caption. Oh, and don’t even get us started on hashtag research. On the other hand, there’s the pressure of not posting and potentially losing followers. 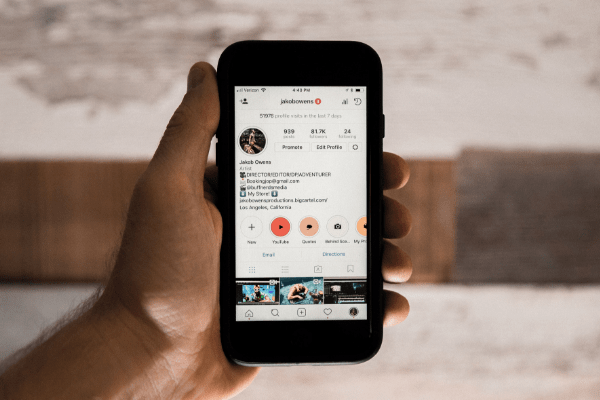 We know many of you are using Instagram to build your personal and business brands, but if posting is stressing you out, there’s a good chance you’re addicted to Instagram. Pro Tip: Relieve some of your Instagram-related stress with our helpful guides for choosing filters and writing captions. Instagram Addiction Sign #2: Taking it personally when someone doesn’t follow you back, like or comment. There’s no denying how real our online lives feel. And, that’s because they are real! But, not everything that happens online translates to our actual lives. If you’re taking follows, likes and comments personally, it might be because your Instagram addiction has caused you to lose perspective. Just because someone doesn’t like your picture don’t mean they don’t like you. Pro Tip: Remember, some of your followers may not even be seeing your posts due to the Instagram algorithm. Check out our tips for how to beat the algorithm and increase your engagement. Instagram Addiction Sign #3: Constantly checking the profiles of people you hate. You never like their pictures. You never comment. Heck, you probably don’t even follow them! But, every day—without fail—you scroll through the profile of someone who makes you miserable. Why? Why do we do this to ourselves?! Logically, you know life is too short to look at posts that make you feel like crap. But, if you’re still checking the profiles that get you down, it’s a sign you’re addicted to Instagram. Instagram Addiction Sign #4: Deleting posts that don’t get “enough” likes. You go through all the stress of putting together a post only to experience even more stress when it goes live. We understand the pressure to reach your audience since many personal and business brands depend on effective social media strategy. However, we’re also not too old to remember when posting on Instagram was just for fun. Your self-worth isn’t determined by the number of likes you get. Every post is not going to be a home run, and if you’re not okay with that, you might be addicted to Instagram. Pro Tip: Post aren’t the only way to build your brand. Check out our guide for how to use Instagram Stories to reach your audience. Instagram Addiction Sign #5: Completing any task without scrolling breaks is impossible. It could be watching a show on Netflix or cooking dinner. Maybe it’s having a conversation with your mom. If FOMO means you can’t make it through a single task without stopping to check Instagram, you could have an Instagram addiction. Similarly, you’re probably addicted to Instagram, if you can’t eat a meal or workout without posting about it. You’re not posting because you want to. You’re posting because you have to. Even if there aren’t pics, we promise it still happened. Instagram addiction is absolutely real and nothing to feel ashamed about. Follow our Instagram addiction tips, and you’ll be on the road to recovery in no time. Instagram Addiction Tip #1 Physically separate yourself from your phone. This first one may seem crazy obvious, but believe us, it works. At first, you’re going to want to check in. You may even phantom reach for your phone. But, with your device in another room, you’ll be able to focus an be present with whatever you’re doing. Instagram Addiction Tip #2 Unfollow or block your hate-follows. We’ve already talked about those accounts that make you feel bad about yourself. As part of forming a healthy relationship with Instagram, stop checking the profiles of people you hate. Those accounts might belong to exes, celebrities or that awful girl you were friends with in high school but TBH could never stand. Whoever it is, remove their accounts from your life and free yourself from negative feelings. Instagram Addiction Tip #3 Do a digital detox with your friends. In order to beat your Instagram addiction, you’re going to need a support system. Chances are people in your life are struggling with the same thing you are. Open up to your friends, and make a plan to do a digital detox. Even a night out sans phones could be the reset you need to beat your Instagram addiction. Instagram Addiction Tip #4 Make a plan for how to spend your time instead. In today’s world, we’re so used to multitasking it can actually be hard to be present in the moment. Before you start cutting back on Instagram, decide how you’re going to spend your time instead. 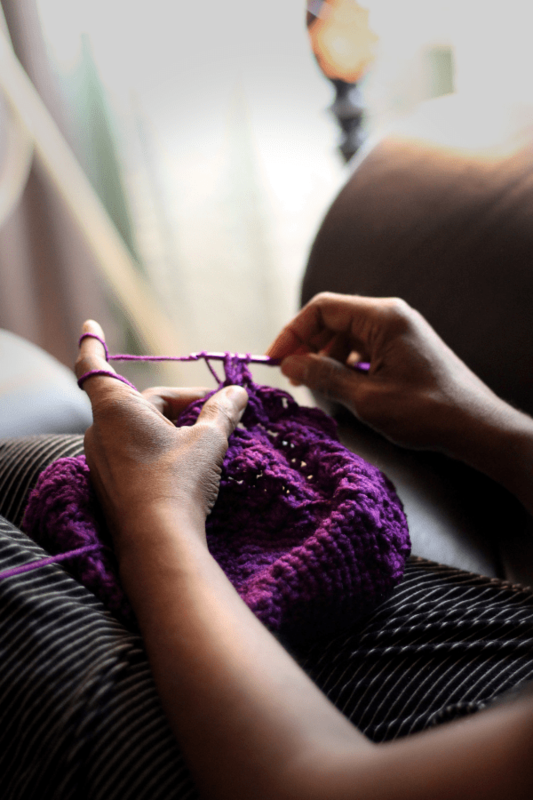 Maybe it’s time for you to finally take up knitting! You’re more likely to kick your Instagram addiction if you have something to keep your mind off checking the app. Hey, maybe once you’re back on the Gram, you can post a pic of that neat sweater you made. 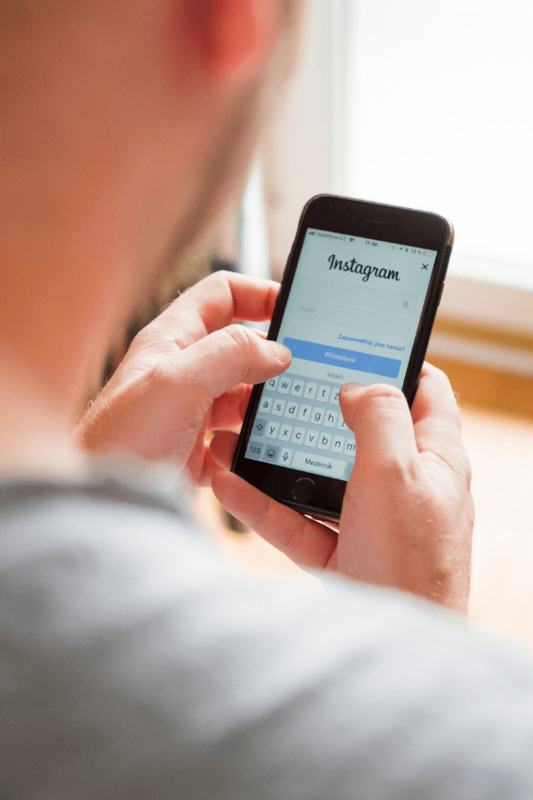 Instagram Addiction Tip #5 Set time limits and outline how to effectively use Instagram. We’re not expecting you to quit Instagram cold turkey. And, we wouldn’t want you to! When the time comes to start using Instagram again, set daily limits for yourself and use an actual timer to stick to them. Research the best times to be on the app in order to engage with your followers. You’ll have a healthier relationship with Instagram and enjoy higher quality sessions. Put the days of mindless scrolling behind you. In addition to our tips for overcoming your Instagram addiction, Facebook, Instagram’s parent company, recently announced a set of tools to help us manage the time we spend on their apps. Located in settings, this feature shows you how much time you’ve spent on the app. Using this feature, you can set a number of minutes you want to use the app per day and receive a notification when you’ve reached it. Perhaps in response to the trend of people disabling all phone notifications, this feature allows users to stop push notifications for a set time. We want you maintain a healthy relationship with Instagram, so allow us to alleviate some of the stress associated with social media.